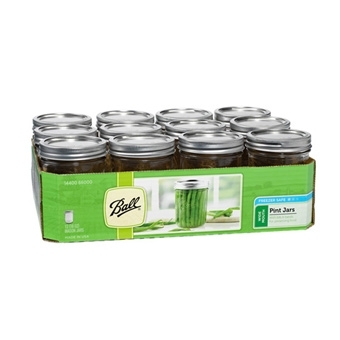 We stock Ball Canning products- Jars, Utensils and Mixes. 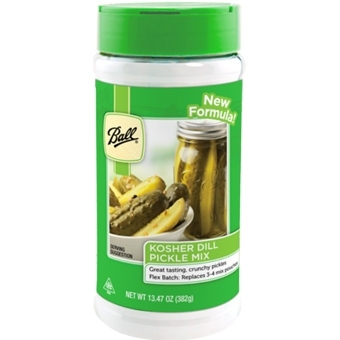 Ball Kosher Dill Pickle Mix 13.47 oz. 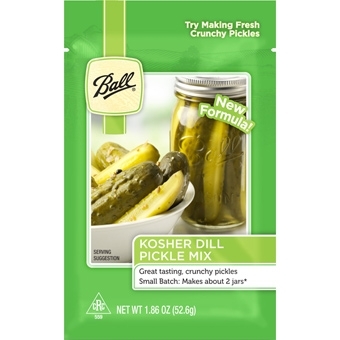 Ball Kosher Dill Pickle Mix 1.86 oz. 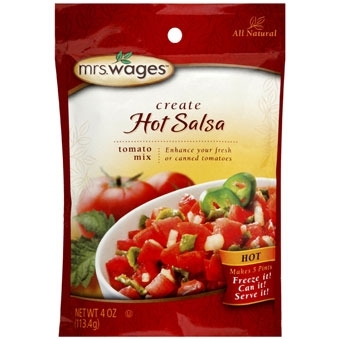 Mrs. Wages Hot Salsa Tomato Mix 5 oz. 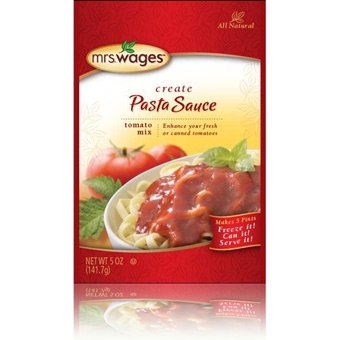 Top selling brand of the fastest growing tomato sauce mix category on the home canning market. Use this mix, containing just the right spices with fresh or canned tomatoes for a salsa with a kick! Makes 5 pints and is ready to eat 24 hours later! 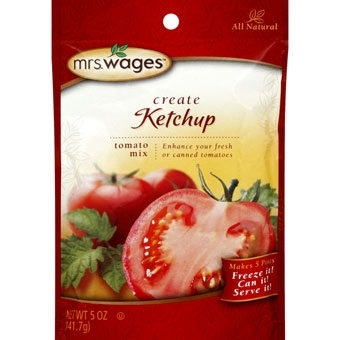 Mrs. Wages Ketchup Tomato Mix 5 oz. 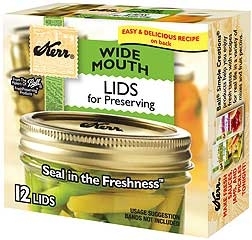 Top selling brand of the fastest growing tomato sauce mix category on the home canning market. Use this mix, containing just the right spices with fresh or canned tomatoes, or tomato juice, for a mouth watering ketchup that will surely excite your tastebuds! 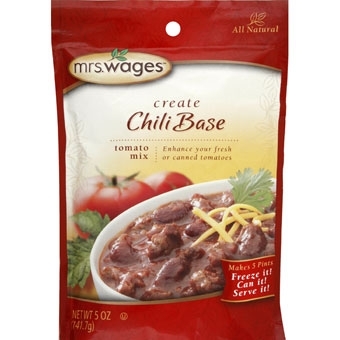 Mrs. Wages Chili Seasoning Tomato Mix 5 oz. Top selling brand of the fastest growing tomato sauce mix category on the home canning market. Use this mix, containing just the right spices with fresh or canned tomatoes, or tomato paste, for chili you'll be proud to call your own recipe. 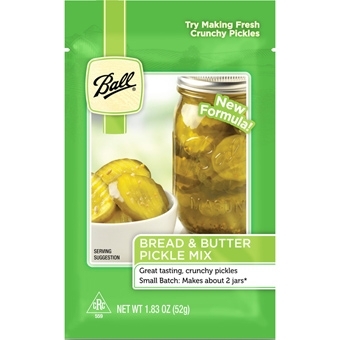 Ball Bread & Butter Pickle Mix 1.83 oz. 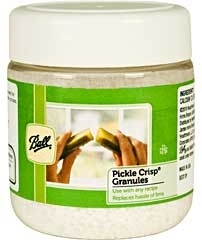 Ball Pickle Crisp Granules 5 oz. 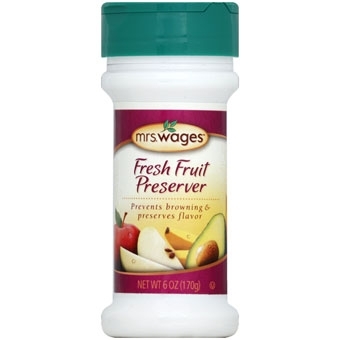 Mrs. Wages Fresh Fruit Preserver 6oz. 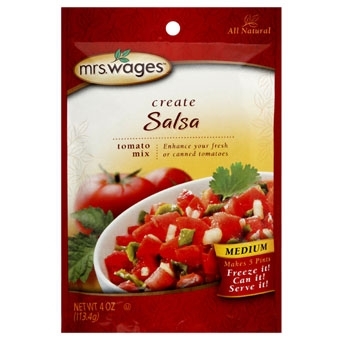 Mrs. Wages Salsa Tomato Mix 4 oz. Top selling brand of the fastest growing tomato sauce mix category on the home canning market. Use this mix, containing just the right spices with fresh or canned tomatoes for a zesty salsa you're sure to make again and again. Makes 5 pint. 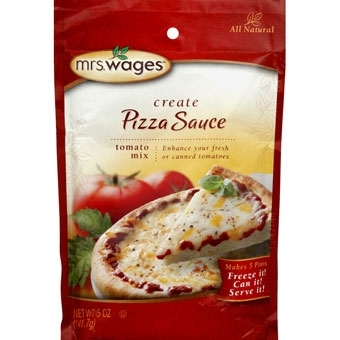 Mrs. Wages Pizza Sauce Tomato Mix 5 oz. Top selling brand of the fastest growing tomato sauce mix category on the home canning market. Use this mix, containing just the right spices with fresh or canned tomatoes, or tomato paste, and give your pizza pizzazz. Makes 5 pints. 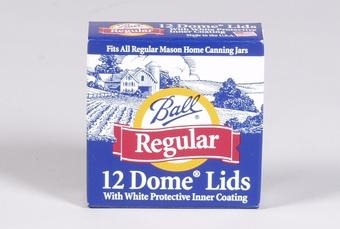 Cases include one dozen jars, bands and lids. 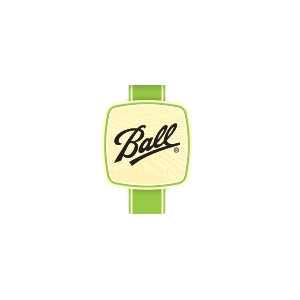 These regular lids from Ball come in a box of 12 each with that same great quality you've grown to trust over the years.